The History: Unlike our other gurus, Selbo’s book is not well known and hasn’t had a seismic effect. I’ve included her for two reasons: (a) to show that there are dozens more structures available in other books, and (b) because I love how her structure doesn’t resemble anybody else’s, but still pretty much works. 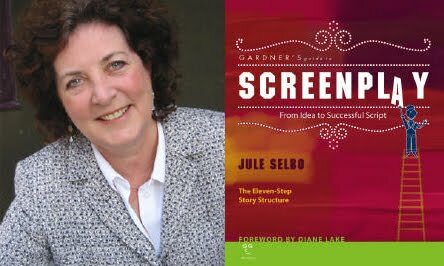 Selbo teaches at California State Fullerton and she’s written several direct-to-video sequels to Disney movies. Outrageous Statement that Makes You Want to Reject the Book Outright: None, really. Selbo is a good, down to earth writer who doesn’t engage in outrageous overreaches. I was really struck by how unique but nevertheless universal Selbo’s structure was, which convinced me that every story structure was really an attempt to describe the inherent structure of a problem, rather than merely the traditions of previous writers. This is proven by the fractal nature of her structure: it applies to a whole movie, it applies separately to each sub-plot, it applies to each sequence, and it even applies within each big scene. I love how much she stresses that the hero must first try to solve the problem logically. Blake Snyder insists that you get to “the promise of the premise” by page 30, but this can lead to movies like The Negotiatior, where Sam Jackson decides to take hostages way too quickly. Compare this to Safety Last: people have come to see Harold Lloyd climb a building against his will, but Lloyd smartly takes the time to exhaust all the other options, even though it means that the promise of the premise doesn’t arrive until halfway through. She does a great job walking you through several movies and showing how her structure applies. The book is a simply a good read. Excellent series. I'm definitely going to check out Selbo's work. Steven Pressfield's THE WAR OF ART, the finest description of and bulwark against procrastination. Brian McDonald's INVISIBLE INK, a great consideration of theme as not some ethereal by-product of the story but its very spine. Alexander Mackendrick's ON FILMMAKING, a practical no-nonsense approach to telling stories based on Mackendrick's own experience holding an audience's attention. Stephen Koch's THE MODERN LIBRARY WRITER'S WORKSHOP, which is not about screenwriting but still maybe the best all-around book on writing I've yet come across. Certainly this isn't a complete list of the screenwriting books I like, just the ones that offered a unique structure of their own. I could go on to discuss another ten gurus, from McKee on down, but I limited myself to these for now, which is good because it's exhausting re-reading (or re-skimming) a whole book for every day's entry! Okay, I've read Selbo's book now and I'm kind of blown away by what I take to be her one big idea. She's got a similar take to yours on the inherent problem-solving structure of all stories. And her 11 steps correspond roughly to the stages of conflict in most screen stories. But the big new-to-me idea was that not every protagonist or story or genre spends the same amount of screen-time in any given stage. I've heard different writers before talk about doing outlines for both the interior and exterior beats of a story, but I've never heard anyone assert that these beats may not have a strict one-to-one correspondence. Selbo uses UNFORGIVEN as an example of a story that spends most of its time in her stage 8: All Falls Apart. She also noted that certain genres tend to spend most of their screen-time here, like disaster and horror films, which was where the light bulb went off above my head as I'm currently working on a horror story. This is not the same as saying Selbo believes movies shouldn't have a clear set-up, rising action, complication, crisis, climax and resolution. Or even recognizable act breaks. Just that the emotional journey of the protagonist need not reflect this structure so rigidly. Anyway, thanks for recommending this fantastic book I wouldn't have heard of otherwise. And if you ever go back to writing more about structure, I'd definitely be interested in reading more about these ideas.